LANSING, John, chancellor, was born in Albany, N.Y., Jan. 30, 1754; son of Jacob Gerrit Lansing and brother of Sanders, Abraham Gettit, and Gerrit G. Lansing. He studied law with Robert Yates, of Albany, N.Y., and James Duane of New York city, and was admitted to the bar in 1775. He served as secretary to General Schuyler, 1776-77, and then began the practice of law in Albany, N.Y. He was a member of the state assembly, 1780-86, and speaker in 1786; a delegate to the Continental congress, 1784-88; succeeded John Jay, resigned, as a member of the Hartford convention, April 38, 1786; and a delegate to the Federal constitutional convention of 1787, from May 28 to July 10, when he withdrew on the grounds that his instructions did not delegate to him power to take part in making a [p.328] new constitution, but only to amend the articles of confederation. Of his two colleagues Judge Yates also withdrew, but Alexander Hamilton remained. He was a delegate to the state convention of June, 1788, that met at Poughkeepsie to ratify the Federal constitution, and was a member and speaker of the state assembly in 1789. He was a justice of the supreme court of New York, 1790-98; chief justice as successor to Robert Yates, 1798-1801, and chancellor as successor to Robert R. Livingston, 1801-14, when he was succeeded by James Kent. He was a commissioner to determine the claims of the city and county of New York to lands in Vermont in 1791; a candidate for governor of New York, unanimously nominated by the Anti-federalists in 1804, but after accepting declined the nomination. He is the author of: Select Cases in Chancery and in the Supreme Court in 1824 and 1828. 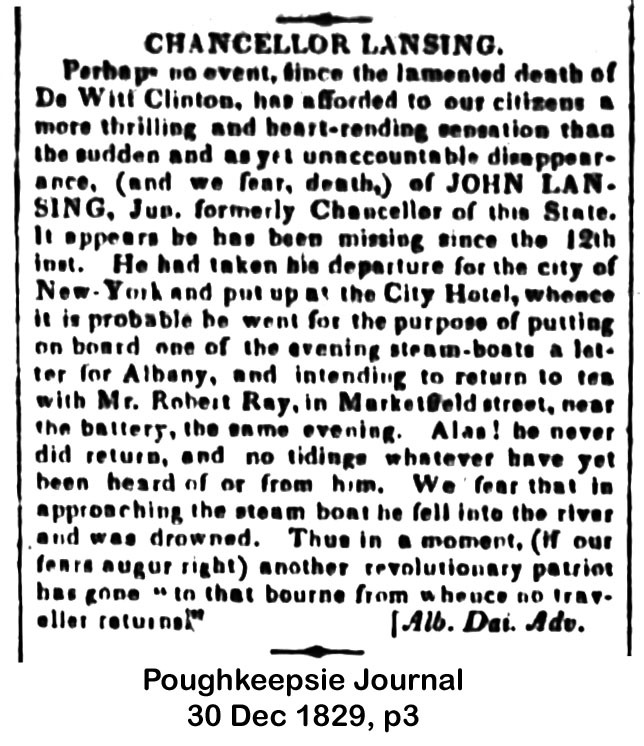 He mysterionsly disappeared after leaving his hotel in New York city, to post a letter on an Albany boat, Dec. 12, 1829. 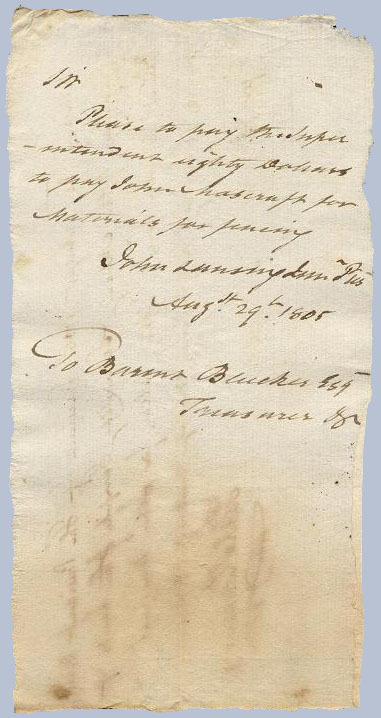 John Lansing (b: Jan. 30, 1754), jurist, born in Albany, N.Y., was the son of Gerrit Jacob and Jannetje (Waters) Lansing and was descended from the Gerrit Lansing who had emigrated from the Netherlands about 1640 and was among the early settlers of the manor of Renssalaerwyck. Lansing studied law with Robert Yates in Albany and James Duane in New York and was admitted to practice in Albany in1775. During 1776 and 1777 he served as military secretary to General Philip Schuyler. Resuming his law practice in Albany, he served in the New York Assembly six terms, 1780-84, 1786, and 1788. During the latter years he was speaker. He was a member of Congress under the Articles of Confederation in 1784 and 1785. 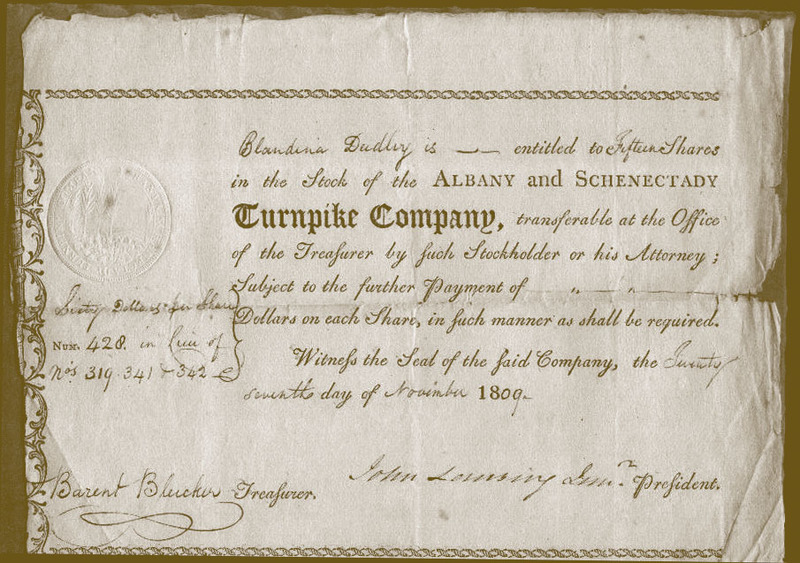 He was appointed mayor of Albany in 1786 and served four years. 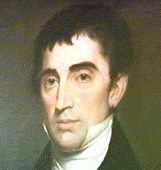 In 1786 he was one of the New York commissioners delegated to settle the territorial dispute with Massachusetts; and in 1790 and 1791 he served in a similar capacity in helping adjust the boundary dispute between New York and Vermont and the claims arising out of the settlement. 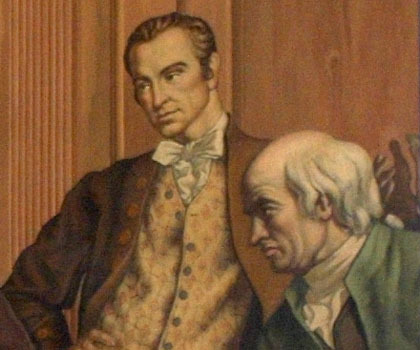 On March 6, 1787, Lansing was chosen with Robert Yates and Alexander Hamilton as a delegate to the Philadelphia Convention. 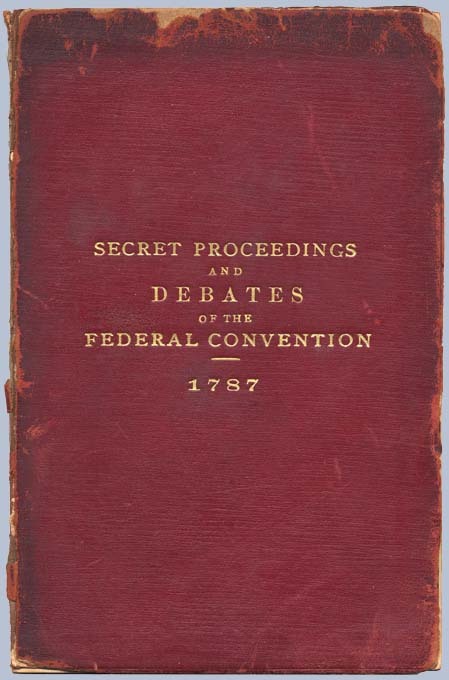 On July 10, believing that the convention was exceeding its instructions in drafting a new constitution instead of amending the Articles of Confederation, Lansing and Yates withdrew, setting forth their reasons for doing so in a joint letter to Governor George Clinton (Secret Proceedings and Debates of the Convention...at Philadelphia, 1821, pp. 280-83. The Secret Proceedings were copied by Lansing from Yates' longhand notes). Lansing was a member of the New York ratifying convention of 1788 where he stoutly opposed the new federal constitution. His long judicial career began in 1790 with his appointment as a judge of the supreme court of New York where he served for eleven years, being chosen chief justice in 1798. In 1801 he became chancellor of the state and held that post until 1814 when he reached the constitutional age limit of sixty. James Kent was his successor. No regular system of reporting prevailed in either of these courts until after the period of Lansing's service. Such of his opinions as are available show him to have been learned, polished and concise. The most striking incident of his judicial career occurred during his chancellorship when he imposed imprisonment for contempt upon John V. N. Yates, a distinguished member of the Albany bar. This led to a clash between Lansing and the supreme court of the state in which he was finally defeated and later was sued unsuccessfully by Yates for unlawful imprisonment. While chancellor he refused an injunction to restrain the violation of the Fulton-Livingston steamboat monopoly on the ground that the monopoly violated the natural rights of citizens to the free navigation of state waters, rather than on the ground later used by Marshall of conflict with federal commercial regulations. His decision was overruled (9 Johnson's Supreme Court Reports, 507). Much of Lansing's earlier political preferment had been due to the support of the powerful Clinton family. But he did not take orders meekly. In 1804, with Burr in the midst of his bitter fight with Jefferson and with Clinton seeking the vice-presidential nomination, the Jeffersonian-Republican legislative caucus at Albany nominated Lansing for the governorship. In the interest of party harmony he reluctantly accepted. Hamilton, who was in Albany at the time arguing the case of Harry Croswell, urged New York Federalists to support Lansing rather than Burr, if they had no candidate of their own (H.C. Lodge, The Works of Alexander Hamilton, VII, 1886, pp. 323-26). Burr was nominated and Lansing shortly thereafter withdrew his name. Two years later he made public his reasons for doing so alleging that George Clinton had "sought to pledge him to a particular course of conduct in the administration of the government of the state" (Alexander, post, I, p.153). To Clinton's denial Lansing specified that Clinton had asked for the appointment of DeWitt Clinton as chancellor. After his retirement from the bench Lansing resumed his law practice as one of the leaders of the bar.. He became a regent of the University of the State of New York in 1817, and he also took an interest in the affairs of Columbia College. He had married, on April 8, 1781, Cornelia Ray of New York City and had ten children, five of whom died in infancy. He was a large, handsome man, dignified and kindly in manner, a good conversationalist and a favorite in society. His death created a tremendous sensation. In December 1829 he went to New York on business connected with Columbia College and remained about a week. On December 12 he left his hotel about nine in the evening to post some letters on the Albany boat at the foot of Cortlandt Street. He never returned and no trace of him was ever found. That he was murdered is supported by the statement of Thurlow Weed's biographer that many years later Weed received, under a pledge of secrecy, evidence as to the facts of Lansing's death with an injunction to publish them when those implicated were dead. While this latter condition was met in 1870 there remained alive those "sharing in the strong inducement which prompted the crime." Weed accordingly never made public the facts in his possession. (See T.W. Barnes, Memoir of Thurlow Weed, 1884, pp.34-35.) 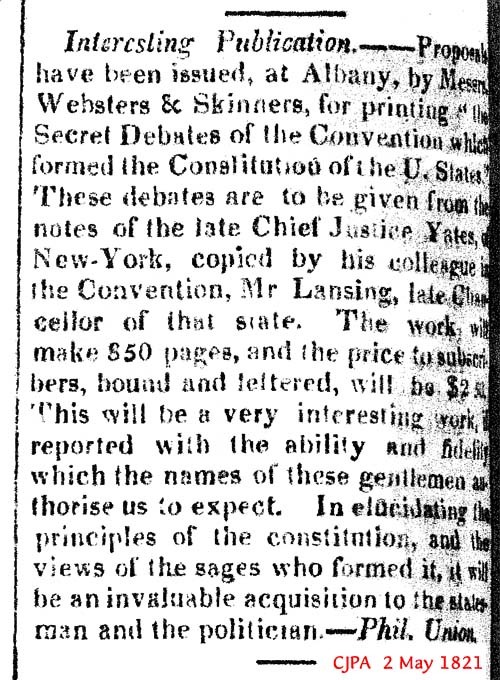 Lansing published Reports of Select Cases in Chancery and the Supreme Court of the State of New York in 1824 and 1826 (1826). (A.B. Street, The Council of Revision of the State if N.Y. (1859); L.B. Proctor, "Chancellors Livingston, Lansing and Kent," Albany Law Journal, Supplment to Vol, XLV (January-July 1892); C.G. Munsell, The Lansing Family (1916); Jonathan Pearson, Contributions for the Geneals. 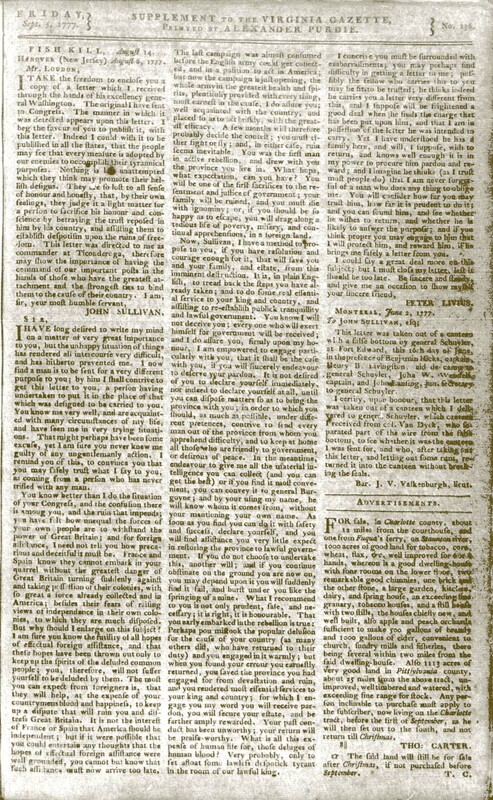 of the First Settlers of the Ancient County of Albany from 1630 to 1800 (1872); Daily Albany Argus, December 29, 1929; N.Y. Mercury, December 30, 1829; D.S. Alexander, A Political History of the State of New York, vol. I (1906).